Ethics are often spoken of as if they were set of rules for behavior, but they are so much more. They inform how we show each other regard and respect, and they can be expressed as responsibilities we have in relationship to one another. 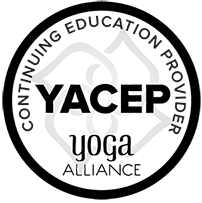 In the realm of teaching yoga as a path and profession, we don’t have a mandate to reflect on and deepen our understanding of what ethics are beyond being able to name the yamas and niyamas. When we are facing an ethical dilemma, rarely do we have the skills to know how to explore our ethical foundations in guiding our behavior, because they are so much an assumed part of our interactions. This brief workshop will help us set an ethical foundation as teachers in complex relationships with our students and each other. It will provide an opportunity to prepare for the inevitable awkward moments, situations, and relationships by examining the fabric of our individual ethics. We will engage in dialogue and reflection on how to go deeper with our understanding of self-awareness and ethical dilemmas, develop tools to engage in dialogue with each other for support and guidance when needed, and reflect on how to navigate complex relationships with each other and our students in a consistent and ethical manner.